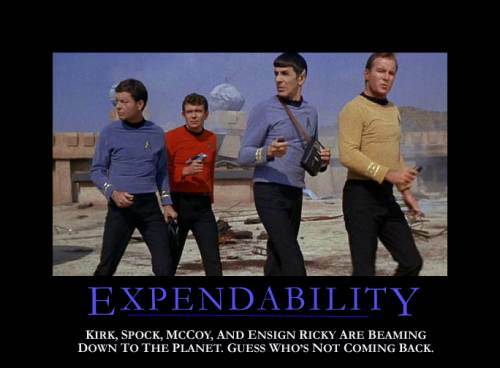 Expendability: Kirk, Spock, McCoy, and Ensign Ricky are beaming down to the planet. Guess who’s not coming back. And guess who’s getting the girl!